This is Aguila .22 Long Rifle Super Max Hyper Velocity Solid Point Ammo. 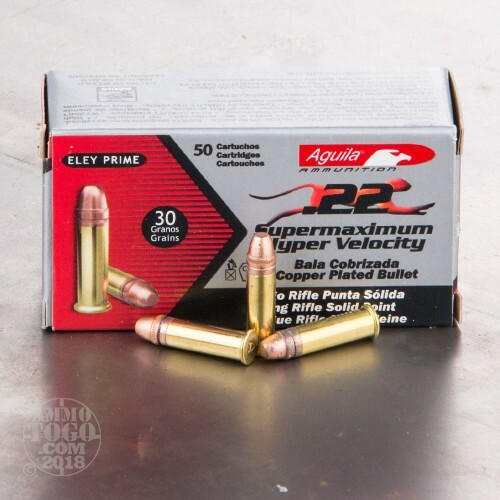 This ammo has a 30gr. 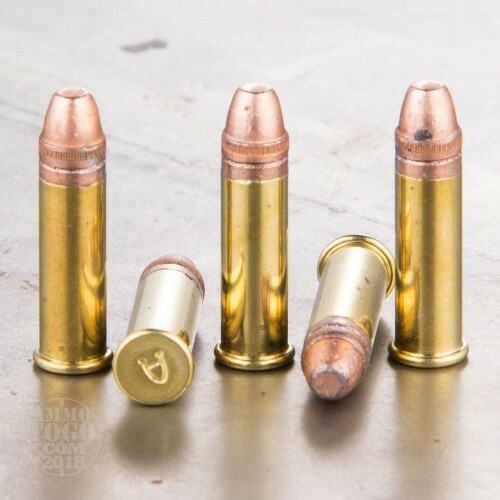 copper coated lead solid point bullet that travels at 1750 FPS at the muzzle. 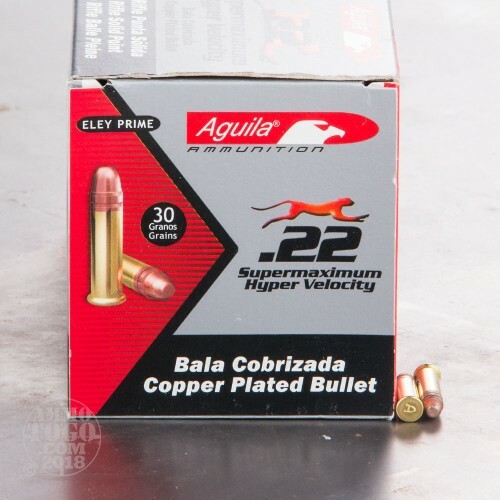 This is the fastest .22LR money can buy. It comes packed in 50rd. boxes, 500rds. per brick. 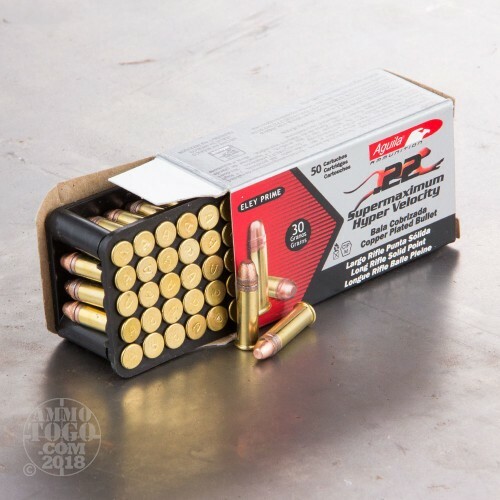 I have used this ammo in my target pistols and ruger 22 rifle and they performed excellently but now have only 3 boxes left.